We are writing following Tuesday's vote in favour of the copyright directive. We are small, medium and micro independent music companies and self-releasing artists across Europe, who account for 80% of new music releases. It is frustrating for us that this vital debate was often portrayed as a turf battle between competing big business lobbies. We thank all parliamentarians who participated in this crucial vote. All points of view nourish the debate. To those who voted yes, thank you for standing up under considerable pressure. A landmark text has now been adopted. Our members and their artists have been promoting user generated models since they signed a deal with Napster nearly twenty years ago and this modernisation is much needed. To parliamentarians who chose to oppose the trilogue mandate, or who abstained, we respect your decision. We are ready to exchange further on this directive and its implementation to ensure it delivers a fairer online market for creators, citizens and platforms. We look forward to member states confirming their previous decision in favour of the mandate and to working with all stakeholders on the implementation of this essential text. 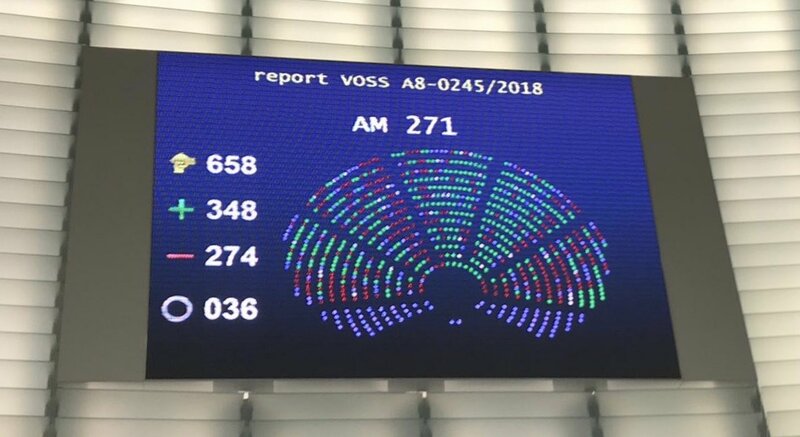 Tuesday's result sets a great precedent for Europe, who is really leading the way worldwide towards a fair and sustainable online environment. Below you will find IMPALA's statement welcoming the adoption of the directive. Helen Smith commented: "This is a landmark day for Europe¹s creators and citizens, and a significant step towards a fairer internet. Platforms facilitate a unique relationship between artists and fans, and this will be given a boost as a result of this directive. It will have a ripple effect world wide." The next step is for member states to re-confirm the text. The directive will then need to be implemented at national level, within a two year period from when it is officially published.